Hosing human waste off pavement reminds one leftist of hoses used against civil-right activists. A councilman in Seattle is reportedly opposed to hosing sidewalks that reek of excrement near a local courthouse because he fears that it might be racially insensitive. Now, I’m not trying to diminish the struggles of civil-rights activists, but Gossett’s concern here is nothing short of insane. I mean, seriously — who even thinks of such a thing? I see people power-washing bodily fluids off of the streets of New York City (including streets outside of courthouses) all the time, and I have not once seen any of them being called racist. To be fair, this city does still smell terrible, so the power-washing plan might not be the perfect solution on practical grounds, but at least it’s a start. What else are you going to do — not wash them? Because I really, really reject the idea that leaving sidewalks covered with human bodily waste is the less offensive move in this (or any) situation. Anyone over the age of three knows that if you see poop somewhere, it’s supposed to be cleaned up. What’s more, most little kids could probably also tell you that said clean-up is supposed to involve water. In fact, before this, I would have told you that this is probably the least controversial opinion in human history. But social-justice alarmism can do a great job of turning the clearly uncontroversial into an outrage, and often at the expense of basic logic and practicality. It’s not that all social-justice activism is bad, of course. It’s great to be nice, and it’s great to be sensitive, but an obsession with social justice and political correctness can make people’s brains start to malfunction — and I’m not sure that I’ve ever seen a better example of that than this. This story was originally covered in a post on the Daily Caller. 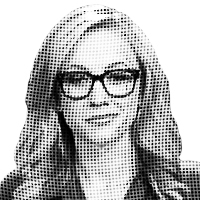 — Katherine Timpf is an NRO reporter.